The unfortunate part of a vacation is having it end. I throughly enjoyed our trip last month and not just the destinations but the trip itself. I've always enjoyed travelling around not just to see new people and places but also re-visiting the old places. The Alaska Highway trip should be starting to get old by now but I enjoy each trip and marvel at the views and the little towns we pass through as if it were my first trip. I had been to Dawson City several times in the past but seeing and photographing the old buildings again was enjoyable. In fact, as soon as I framed this shot, I remembered taking this one before though it would've been on Ektachrome. I didn't feel like looking through all my old slides but I remember that photo well. Back then, I didn't take many color pictures as film and developing was expensive. One of the huge advantages of digital. 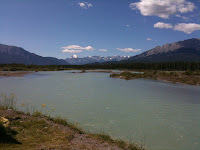 On the trip north, we ventured a bit to the east towards Jasper just to take a new road. I've taken the route from Hope, BC, north to Prince George, BC, many times and it is a beautiful road especially following the Fraser River up through the canyon. 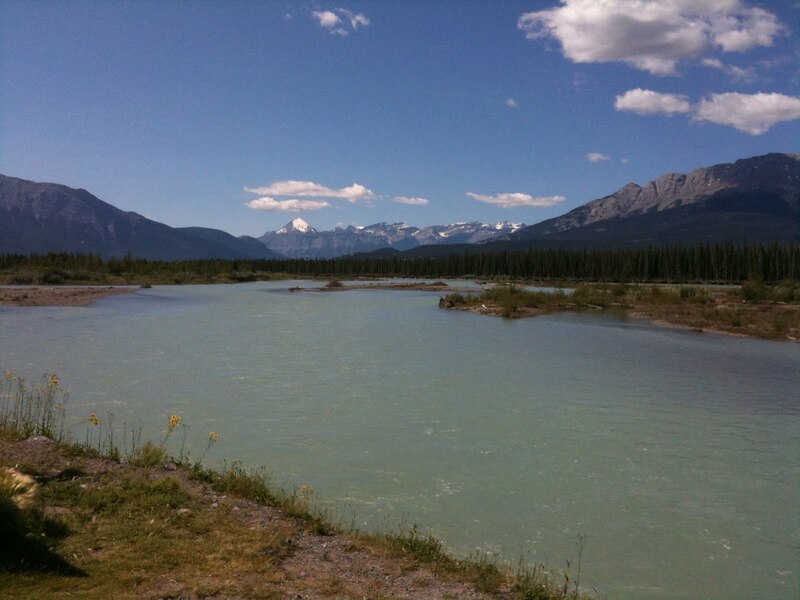 I don't remember the name of this river but I do want to spend some additional time around Jasper on the next trip. The mountains were spectacular. Unfortunately, I took few pictures through this magnificent area. Even though we weren't in a big hurry, we still needed to get in 400-500 miles per day so not too many stops. The Tanana Valley Fair was a pleasant diversion and it, as expected, rained on and off the day we went. Judging was still going on but I think this 400# pumpkin has a good chance of winning something. The fair is pretty much like any small town country fair with a bunch of vendors, a midway (with the same rides every year) and "fair food". There are more healthy options but the ones that seem to attract the most attention are the fried options. 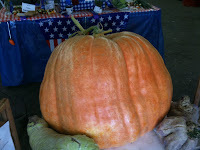 Elephant ears, fried candy bars, huge blocks of french fries, corn fritters, fried halibut, etc. In the past, I've volunteered to booth-sit sometime during the fair but since I wasn't around prior to the fair starting, I didn't get an opportunity to put my name in. Some people really enjoy the entertainment or the rides in the midway but I think I go to visit the vendor booths and wander around watching people. 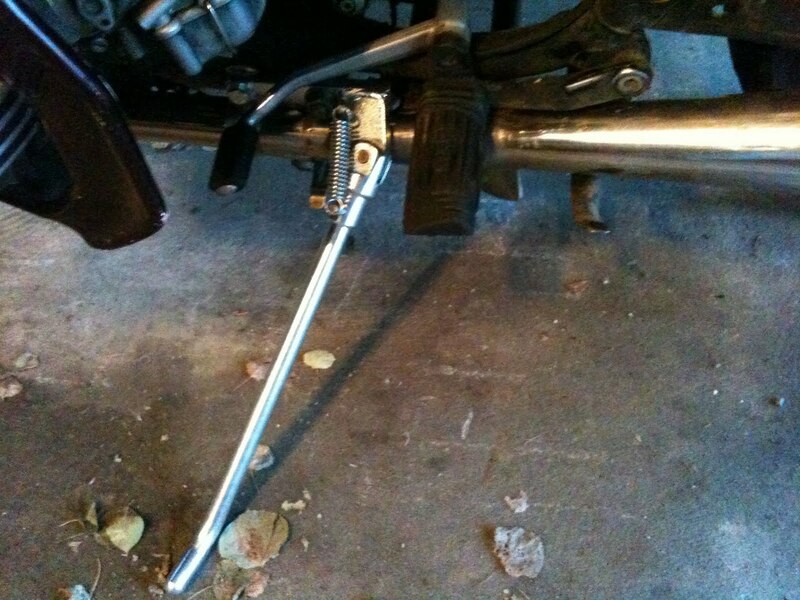 That Brown Side Stand looks like something I could use. the factory stand on the V-strom does not lean over enough and most of our parking is slanted in the opposite direction so I need more lean angle. It's a nuisance always having to park backwards. 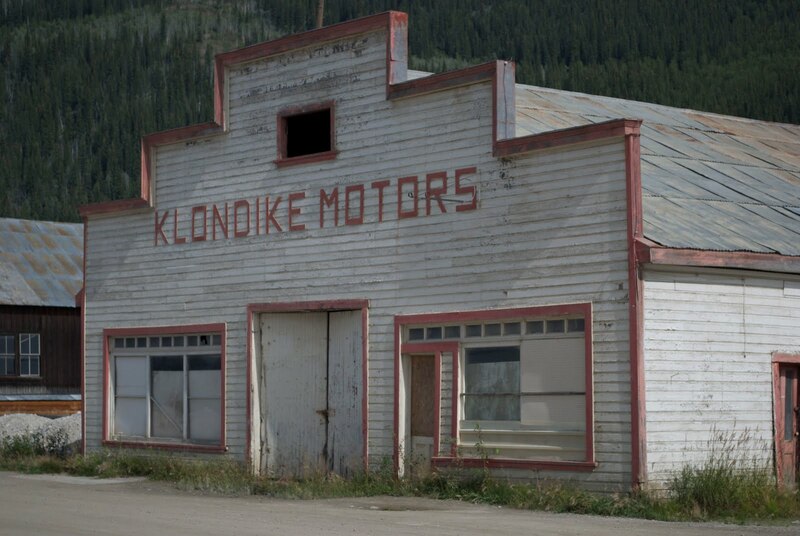 I like the old Klondike Motors - great old building! Funny, how it is...revisiting old places and seeing it again with new eyes. I have favorite places like that too. Looks silver to me too!